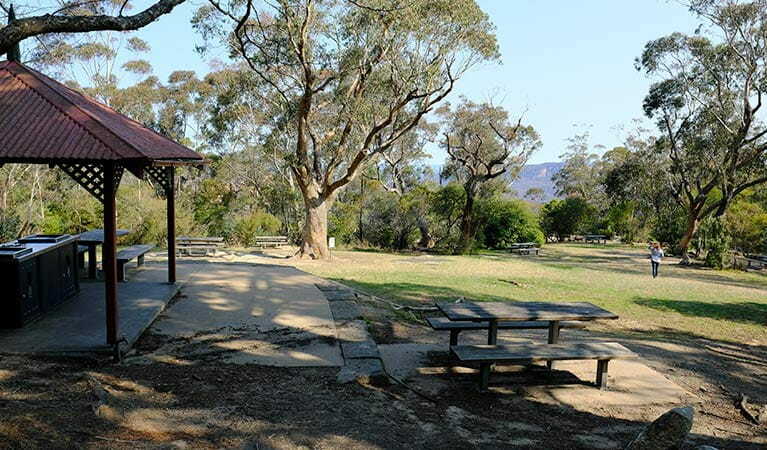 Wentworth Falls picnic area is a scenic spot for lunch before exploring the many lookout views and walking tracks in this popular part of Blue Mountains National Park. 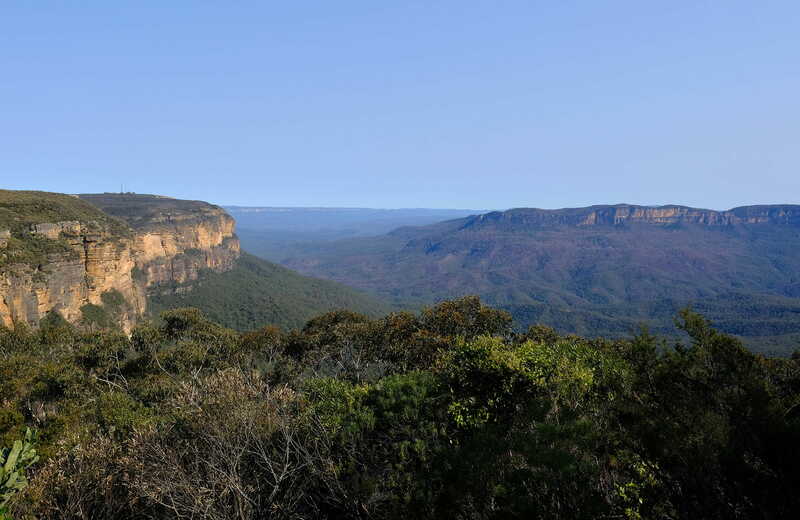 You'll feel on top of the world at this picture perfect spot with world-class views, near Wentworth Falls, in Blue Mountains National Park. 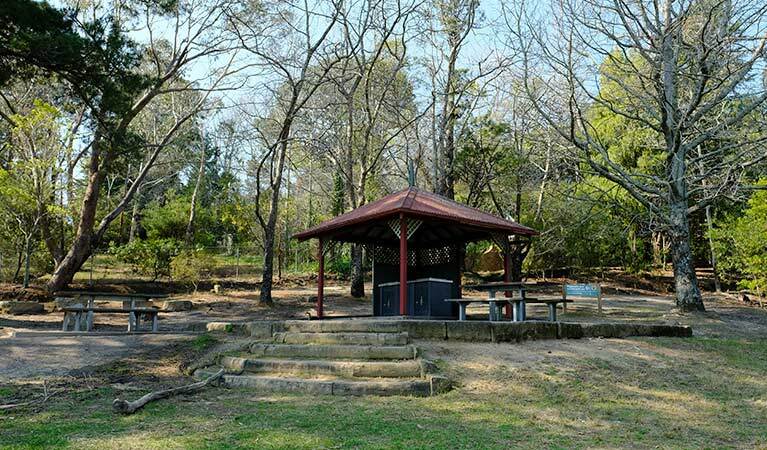 Wentworth Falls picnic area is a great base to explore the lush world of rainforests and waterfalls along a range of spectacular walking tracks to suit all the family. 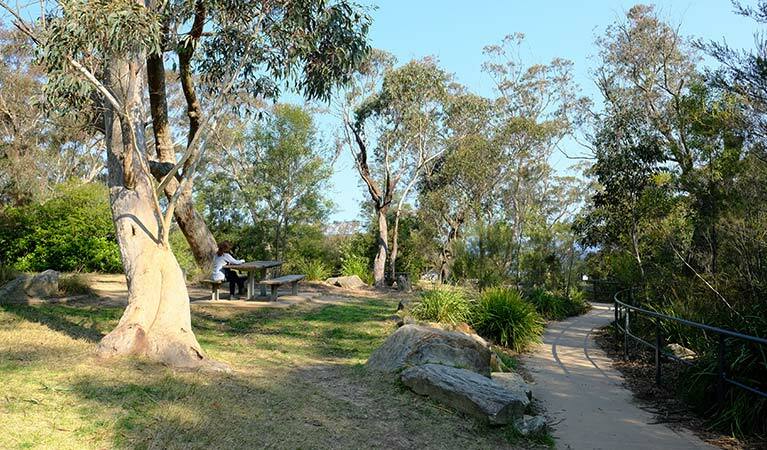 There's room for the kids to play as you unroll the picnic blanket at this scenic clifftop spot. The fresh mountain air will pique your appetite, so enjoy a hearty lunch among the banksias and gum trees. 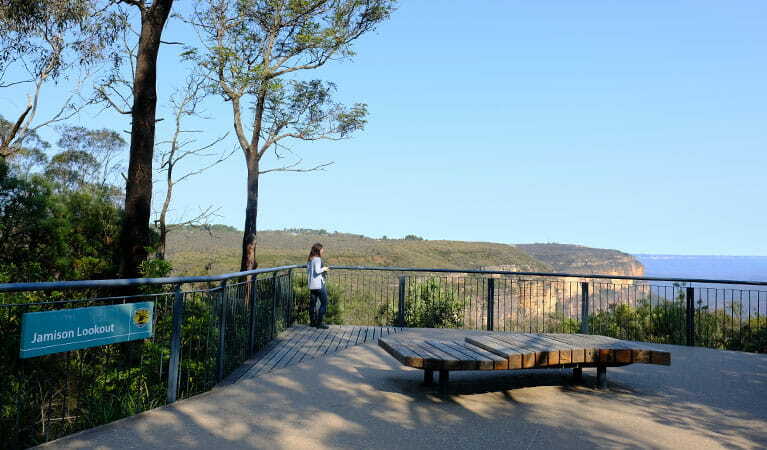 Be sure to take in the views from Jamison lookout, opposite the picnic area. 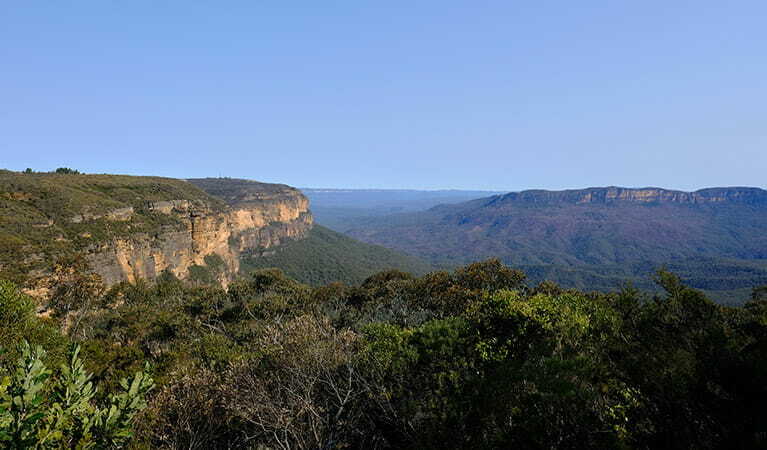 If you're after a post-lunch stroll, follow the track to Fletchers lookout and on to Wentworth Falls waterfall or Weeping Rock. The longer Overcliff-Undercliff track is a medium loop along the dramatic cliff edge to the Valley of Waters. An ideal area for birdwatching, you might hear riotous flocks of sulphur-crested cockatoos or glimpse a rare peregrine falcon cruising the valley thermals. 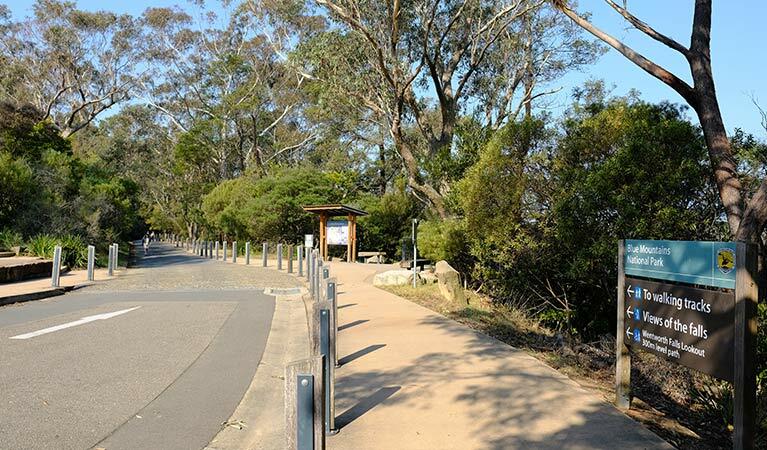 Take a virtual tour of Wentworth Falls picnic area captured with Google Street View Trekker.